These figures were obtained using a combination of battery power and fuel. The IONIQ Plug-In is a plug-in hybrid vehicle requiring mains electricity for charging. Figures shown are for comparability purposes. Only compare fuel consumption, CO2 and electric range figures with other cars tested to the same technical procedures. These figures may not reflect real life driving results, which will depend upon a number of factors including accessories fitted (post-registration), variations in weather, driving styles and vehicle load. * There is a new test for fuel consumption and CO2 figures. The CO2 figures shown, however, are based on the outgoing test cycle and will be used to calculate vehicle tax on first registration. Find out more here. The IONIQ Plug-in Hybrid can travel up to 39 miles on electric power, which covers most day-to-day trips. On longer trips, the electric motor works intelligently with the petrol engine to improve fuel economy and reduce O2 emissions, or offer more performance. On the road prices shown include £2,500 government plug-in car grant. When used as a conventional hybrid electric vehicle, the HEV computer selectively operates between the engine and the electric motor – or even both at the same time – depending on the level of power required to travel. When it’s operating in electric mode, the vehicle is driven only using the electric motor until the charge from the high voltage battery becomes too low, at which point it reverts to the hybrid mode automatically. Pure electric mode gives you up to 39 miles of zero tailpipe emissions, depending on your driving style and road conditions. To help maximise driving efficiency, IONIQ Plug-in Hybrid is fitted with ECO-DAS (Eco Driving Assist System).  ECO-DAS includes a unique Coasting Guide feature that analyses route information from the navigation system and gives advance notification on when to slow down – helping to minimise braking and reduce fuel consumption. The efficiency of IONIQ Plugin Hybrid is greatly enhanced if the car is mainly driven in electric mode, this is why we strongly recommend that you install a wallbox on your driveway or garage. The high voltage battery can be fully charged by connecting the plug to an external electric power source. It takes about 2 hours 15 minutes to fully recharge the 8.56 kWh battery.